It is time for a new challenge at All Dressed Up. I have created a canvas that measures 8 X 10. The background paper was actually torn from an old Bible. The Bible page I used contains 1 Corinthians 13...the LOVE chapter. so I adhered it to a piece of cardstock and ran it through the printer. The image I used is called "Amore" and it's found HERE. the girl holding the balloons, the girl, and the balloons. I did some stitching around the page with red thread, and then adhered it to the canvas using Claudine Hellmuth Studio Matte Multi-Medium. I then brushed another coat of the medium over the top of the entire page. When it was all dry I did some coloring using my water soluble wax pastels. The balloons were colored red, and the area around the balloons was colored blue. I then used a wet paintbrush in the wax pastel. The result is this lovely pale and translucent color! This challenge will run until the 15th of February! and why not enter the challenge while you are there. There is a link there to some fabulous freebies! Don't forget to stop by our Facebook Group to keep up to date with all the latest All Dressed Up news, and chat with fellow crafters. This is a gorgeous piece Nancy and I love it. So creative and Fab-U-Lous! 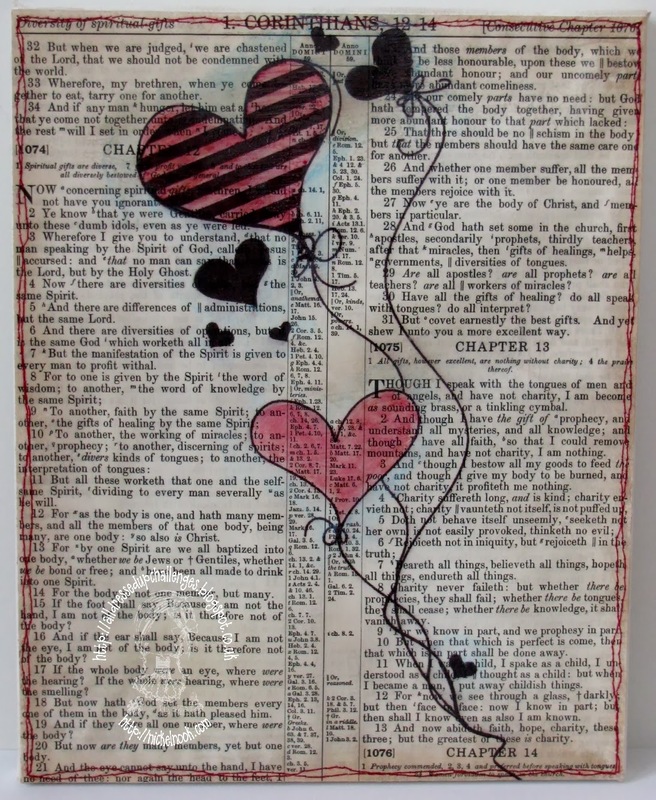 Such a fabulous way to use this image... you've created a fabulous canvas... and what better text to put behind the hearts.. STUNNING! Beautifully done! Love your canvas! Hey Nancy - your canvas is outstanding. I love it!!! I prefer clean and simple over fussy and busy and your design is just perfect.Full of so much meaning with the page from the bible and the verse. All of the details you added made this really special. This is a fabulous idea Nancy ! Your canvas is gorgeous and I love that red thread so significant with the scriptures! I love it! What a great way to rescue a book that otherwise might have ended up in the trash. Especially a Bible! You know it's too funny because I'm using old dictionary pages right now to make up some flowers! 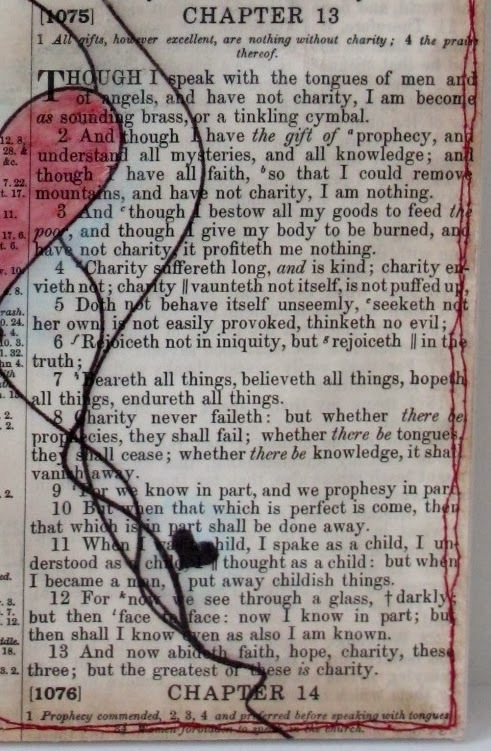 This is my style wow, love what you did with just the balloons on the Bible page!! I love the transparent hearts and color with the stitching. Great page to use also. I love this one, it would be perfect on the wall and to add more with it, truly beautiful in every way. Oh Nance that scripture page makes the most beautiful background. So wonderfully creative my friend. Hugs! Just awesome w: a side of magic !! !